Messick Plumbing did a wonderful job with plumbing in my basement. They were quick, reasonably affordable and so clean. I could not have asked for better service. I highly recommend Messick Plumbing to anyone looking to have some work done. I know you will be just as pleased, as I was. -- Paul B. We had Chris from Messick Plumbing install a chlorinator and carbon backwash filter for our well water system. He was very professional and courteous. He even cleaned up and re-routed the mess of plumbing left by the previous homeowner. He didn't quit until the job was completed and working 100%. I highly recommend them. 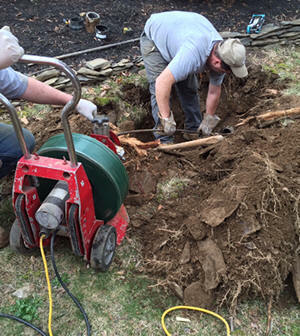 -- Tim C.
We have used Michael J. Messick Plumbing a number of times over the years, and they always do a great job for us. They have helped in emergencies as well as maintenance, and most recently, John came out out to do some work on our water heater. He was very kind, knowledgeable, professional and efficient. Really puts my mind at ease to know they are there when we need them. I strongly recommend them. -- Joicy B.
Michael Messick Plumbing really saved me- I was in a bind with about 4 hours left in the day on a Friday and needed a plumber. Their schedule was packed but they thankfully had time to send someone over. The plumber, John, arrived to my home. He was professional, courteous and efficient as he got to work right away. He asked if there was anything else I wanted him to look at while he was there (there was!). I would definitely use again and highly recommend! 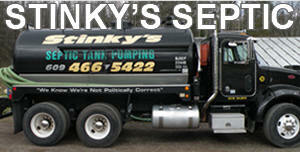 -- Dina O.
Messick Plumbing contacted me so quickly and took the time to explain things on the phone. The service they provided was so professional and after the job was completed, my bathroom was left so clean as if nothing ever happened. Great service is not easy to find but they certainly set the standard for others. I even received a heads-up call about 20 minutes prior to the visit. 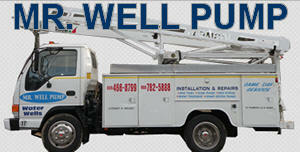 They provided fast, efficient and professional service! -- Terri Z. Just want to say that Dave and Jim did a fantastic job once again. Dave has been our "guy" for the last 7 years and there's no-one I'd trust more to work on our septic. They're both great ambassadors for your company! Highly recommended!! -- Troy C.
Thank you to this great company where customer service is king! From my first panicked phone call to the completion of replacing my leaky LP hot water heater, they were helpful, communicative, thorough, and fast! -- Pat W.